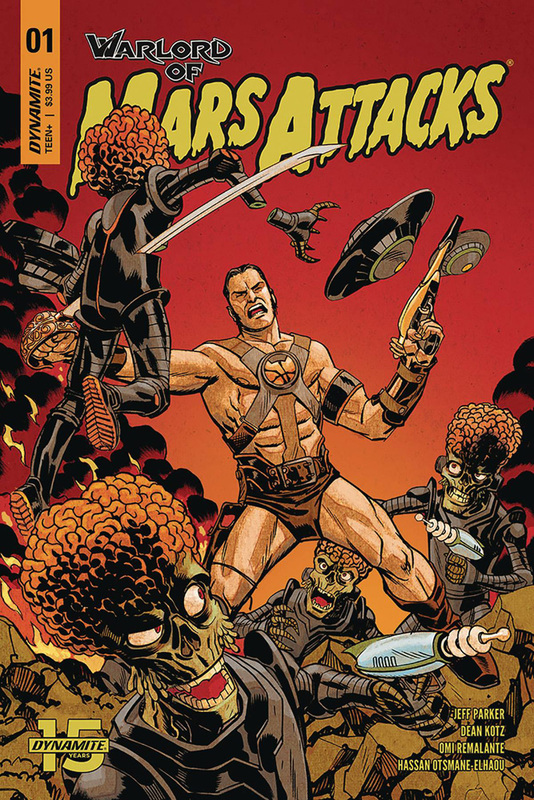 Westfield Comics Blog » Interview: Jeff Parker on Dynamite’s Warlord of Mars Attacks! Jeff Parker is the popular writer of comics including James Bond Origin, Archie Meets Batman ’66, Future Quest, and others. 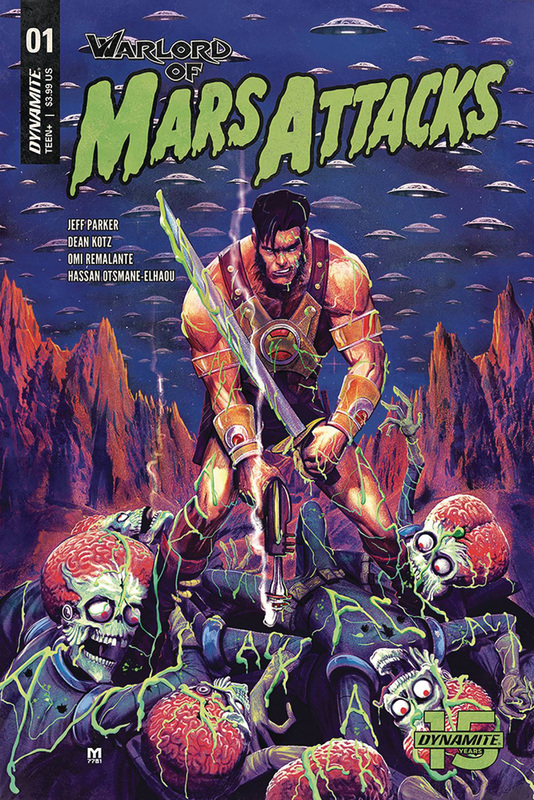 Now he sets his sights on Mars with Dynamite’s Warlord of Mars Attacks, starring John Carter and the murderous Martians from the classic trading cards. Westfield’s Roger Ash contacted Parker to learn more about this series before the mayhem begins. Westfield: This is a pretty odd pairing. How did it come about? Jeff Parker: I believe the Warlords of Dynamite realized it would be a fun VS. and checked with Topps and the Burroughs Estate and then editor Nate Cosby let me know such a thing was on the table if I had an idea for it. Westfield: What challenges or rewards were there for you in bringing these two properties together? Parker: For me it’s all about making it a good time for the fans of both creations. Obviously there’s coming up with an idea bringing them together that makes story sense, but I really try to keep characters true to their concepts so while the conflict may seem bonkers, they aren’t changed from their essentials. Westfield: What’s the set up for the story? Parker: We worked in actual recent history, if you remember the Mars Lander mission from last year, INSIGHT. That’s what triggers everything, from bringing the wrath of the Martians to Earth (or as John Carter and the Barsoomians call them, Moonheads) to bringing John back to Earth in the 21st Century. There’s a bonkers sci-fi theory at work that explains how Mars is a dead planet one minute, and then very much not the next. Westfield: Will you be introducing any new characters? Parker: Yes, there are some scientists from Jet Propulsion Laboratory and an L.A. local who are part of our cast. And some more eccentrics. One thing I try to make happen in this is show how other random people figure into the whole battle, because if the planet is going to be invaded, it’s not like only the couple of heroes you know are doing something, everyone has a stake in this. I feel I may have done a better job with that here, after a few times of writing stories where Earth is invaded. Westfield: You’re working with artist Dean Kotz on the series. What can you say about your collaboration? Parker: I knew he was going to do great but I was really not prepared for HOW great. Because this is an invasion that happens largely all over North America, there are a lot of people and Martians to draw. Somehow he makes it all gorgeous and pages come in way faster than I was expecting. I don’t really understand how he’s doing it. His characters are dripping with personality, and one strength I really admire- which is necessary for this book- he really conveys humor. That is not something even a lot of the best artists can do. It’s wild because I hadn’t been seeing Dean’s work out there in any early stages, so it feels to me like he just appeared fully formed out of the head of Zeus. 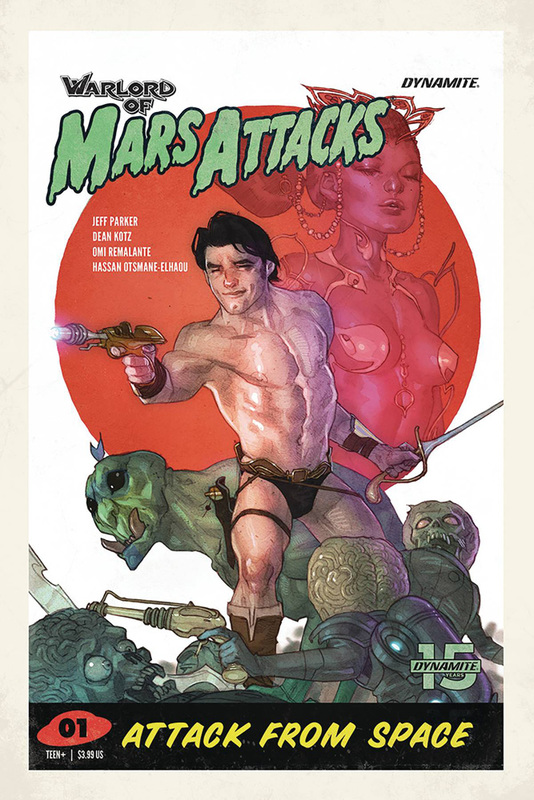 He’s brilliant at designing crazy Martian conquer-machines, and a natural at the fantastic settings and creatures of Barsoom. He’s almost at the part where Woola shows up, I can’t wait to see how he draws that alien dog. Parker: I think readers expecting this to be a fun lark will be surprised at how in depth the story goes. You don’t really need to know the continuity of any of it to follow, but we still manage to work some deep cuts in there and strike a tone that holds the whole thing together. 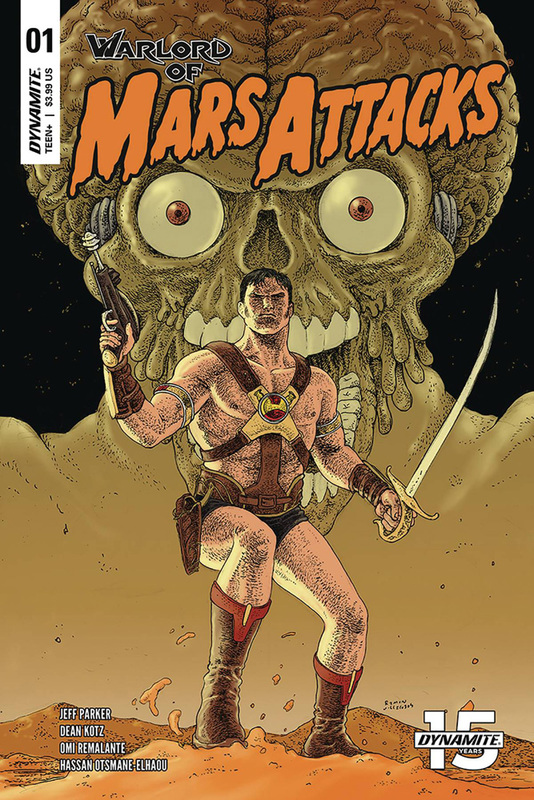 It’s the comic book you want to take to the beach this Summer.